I'm not enough of a comics expert to be able to offer much comment on Leo's massive influence on the development of the comics industry - I'll leave that to others. But I will say thanks Mr Baxendale for the legacy of fun you leave behind. Manhole Man returns to the front page for the 26th time, sharing this delightfully surreal cover image with our chirpy chum and a Caledonian choo-choo. On the Sunday page, the vulture circling above Jogging Jeremy puts me in mind of The Gobbles from The Beezer, and is that Roger the Dodger's Joe the Crow flying alongside? ...UPDATE - Andy's comment below enlightens us as to the the surnames of the folk referred to above. There's a shockingly violent conclusion to this week's episode of The Gang, but thankfully it seems everyone escapes unscathed (physically, at least). Cheeky's tailor chum Ah Sew makes his debut on the Thursday page. Ah Sew was the final addition to the Cheeky's Week supporting cast. Our toothy pal's friends find that the museum offers no refuge against his corny gags as Cheeky pays a visit on Saturday. As has become the custom, the comic concludes with the back garden antics of Snail. 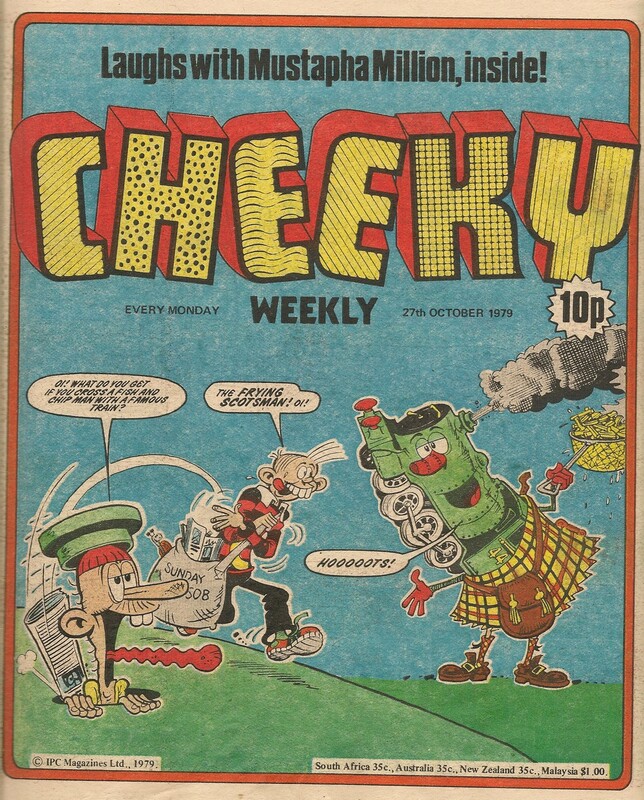 This issue features an all-Frank-McDiarmid Cheeky's Week, a month since the last one, with Frank this time delivering nine pages packed with striped-jerseyed jocularity. Page 24 was the site of Mustapha Million's oil-striking debut in the first issue of Cheeky Weekly, and our moneyed mate returned to that location the following week. However, week 3 of the comic saw advertorial feature What's New, Kids occupy the subject location with, in addition to promoting a new board game and traditional kites, a reminder to readers to follow the fireworks code and also make use of the Fun Phone to communicate their jokes to the Cheeky office. A week later page 24 was the home of a page containing jokes, designed to be cut out, folded and inserted into the Fun Wallet that came as a free gift with issue 2 of the toothy funster's title. The editor presumably felt that the gags provided with the Fun Wallet would have palled not a little as they circulated around the playgrounds of the nation in the two weeks that had elapsed since the gift first appeared. 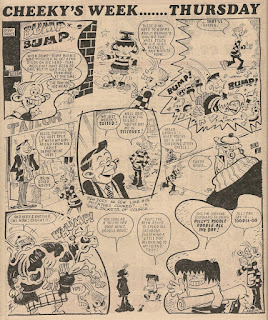 The above run of issues saw the final ads in Cheeky Weekly for Buster and Misty (excluding ads for specials), the two titles having clocked up 5 ads each (Misty being promoted on page 24 in 3 consecutive issues of the toothy funster's comic). In contrast Look and Learn was to amass a total of 16 ads by the time Cheeky Weekly ended, and Mickey Mouse was promoted on 18 occasions. Saturday then made a brief visit to page 24 (this time with an additional description of April Fool's Day) before another two half pagers promoting Mickey Mouse and Look and Learn appeared a week later. 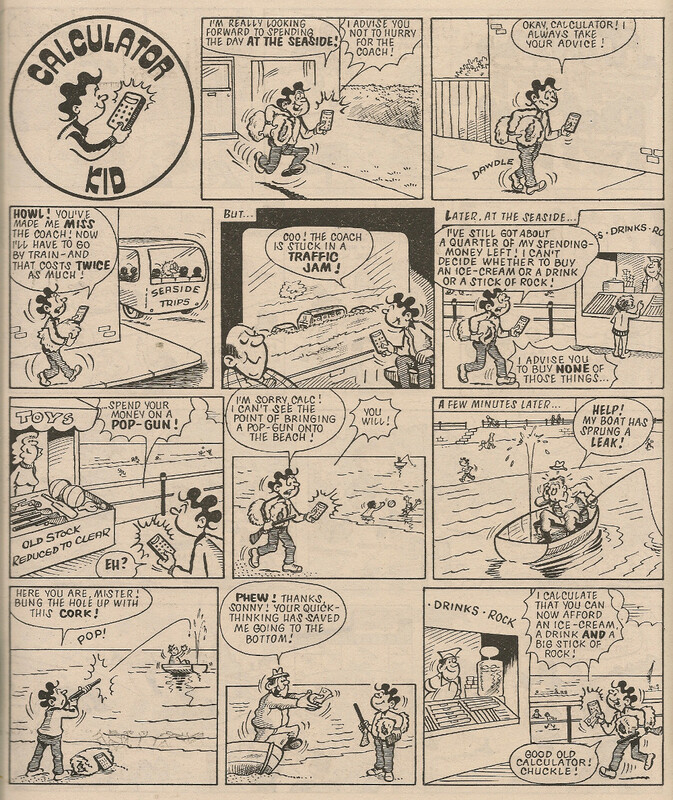 Page 24 in the next issue was composed of 2 stamp collecting ads, a small panel mentioning the harmonica competition running that week in Krazy and Whizzer and Chips, a message from Snail informing readers that the winners of the name the snail competition would be announced the following week and a half page ad for Look and Learn notifying prospective purchasers that a Panini Booklet of Animals, plus free stickers to affix therein, was bundled with the current issue. 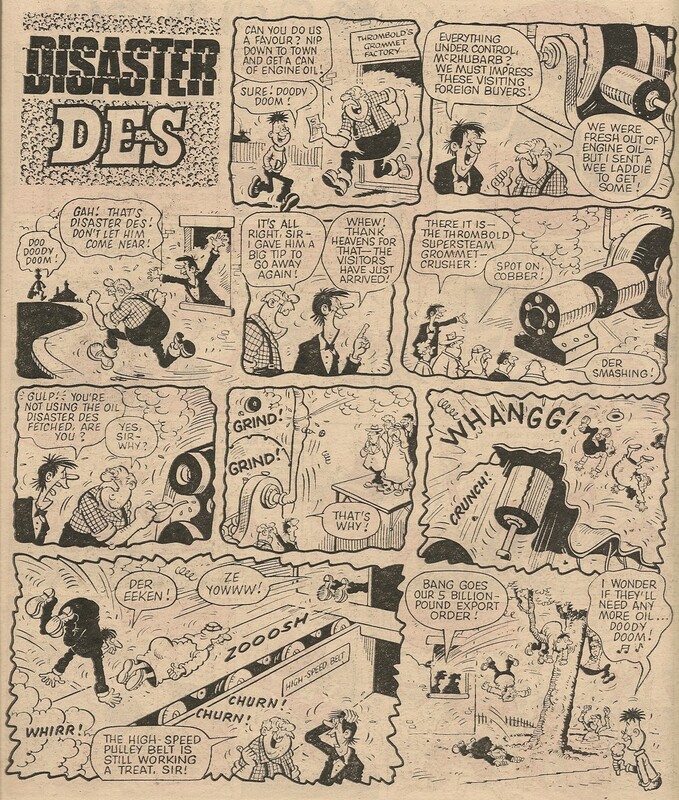 Page 24 in the 22 April 1978 edition was something of a bittersweet affair as, sharing that location with a half page Joke-Box Jury gagfest was an ad for Whizzer and Chips which that week was welcoming the survivors from Krazy, the comic which gave birth to our toothy pal but had ceased publication a week earlier. 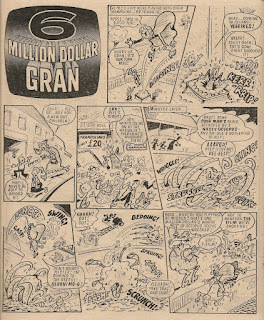 Indomitable Saturday then returned for a week, but seven days later the site in question was home to yet another pair of IPC ads, this time for the Krazy Holiday Special and the football-focused Roy of the Rovers. 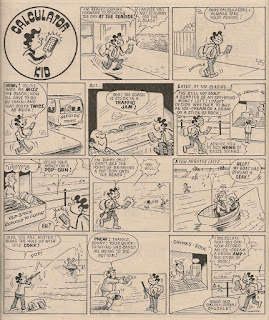 Cheeky's doings on Saturday then resumed, only to be replaced a week later by another ad, but this time from Wall's Ice Cream who were hoping to shift significant quantities of their Tom and Jerry and Skateboard Surfer lollies by employing a cartoon strip depicting the cat-and-mouse duo engaged in some deft skateboarding moves. 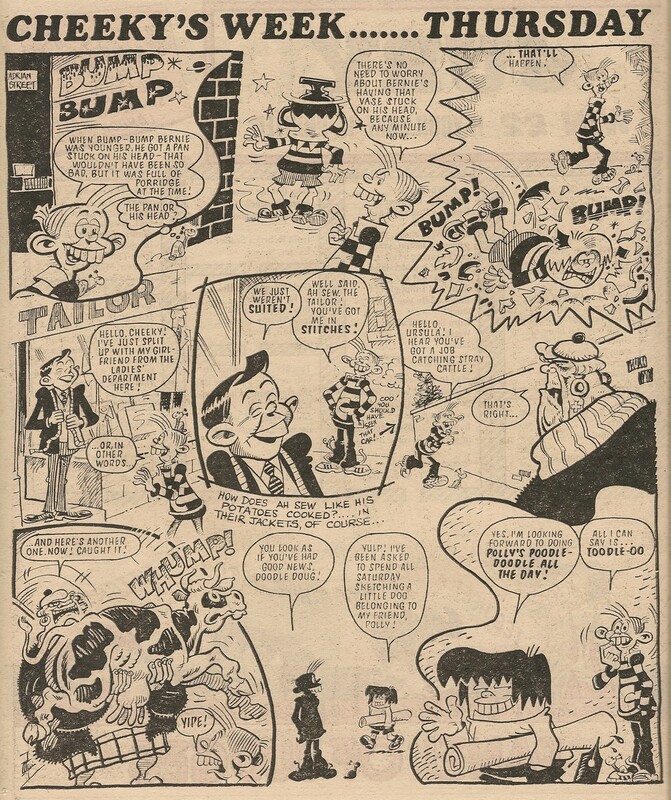 In the 27 May 1978 issue What's New Kids made a bid to secure page 24, but was dislodged the following week by an ad for Weetabix, notifying those with an interest in breakfast cereal that their product was offering T-shirts emblazoned with the company logo. Mustapha and his millions then moved back in for a week, replaced in the subsequent issue by an ad for Kellogg's, who were countering the Weetabix offer two weeks earlier with their own promotion whereby small plastic Playpeople could be obtained in exchange for tokens carried on packs of their early morning comestibles. Sarah and Tim were given instruction on how to safely navigate their way from one side of the street to the other when the Green Cross Code Man turned up the following week in an ad placed jointly by the Department of Transport, the Scottish Development Department and the Welsh Office. Page 24 was the scene of a momentous event in the 01 July 1978 edition as Cheeky Weekly favourite Calculator Kid made his debut. 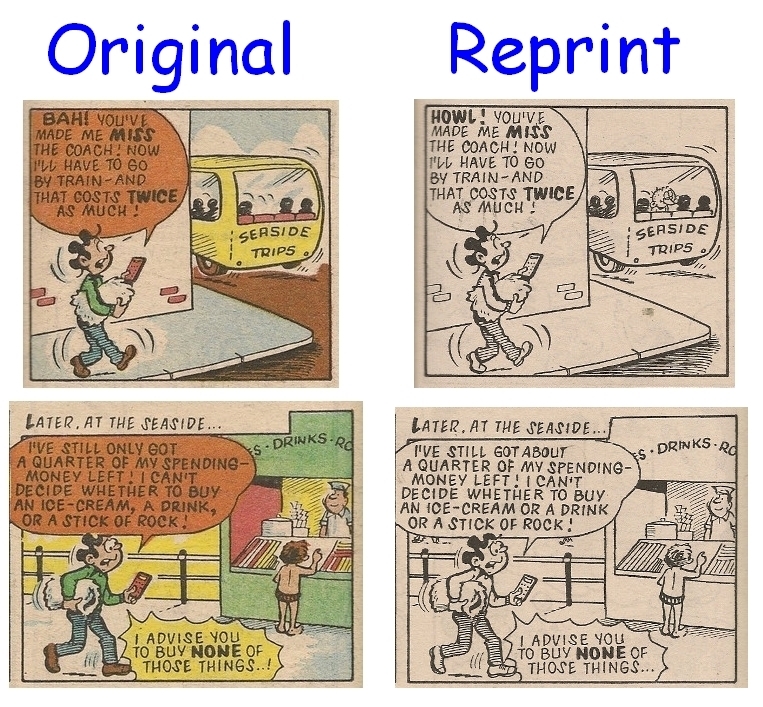 Charlie and Calc remained in the same location for 3 further weeks after which Saturday returned for a single issue. Calculator Kid then returned for one issue, before the site under review featured ads in the following 2 issues – the first placed by Burton's (confectioners whose most famous sweet snack is probably the legendary Wagon Wheel), who were running a promotion with toys as prizes - 'Get your mum to look for the special packs' - (although the iconic circular biscuity treat seems not have been included in this marketing ploy) and the second for Anglo Bellamy's rather unimaginatively-named Bubbly bubble gum. In the next issue, dated 26 August 1978, Calculator Kid began a 5-week run on page 24, bringing to an end his visits to this particular location. Cheeky's Friday doings then occupied the site under review for 2 weeks, after which Paddywack caused his customary confusion for a fortnight. Pirelli, the tyre manufacturers, were evidently siphoning off some of their spare rubber to make children's slippers featuring the likenesses of cartoon favourites Scooby Doo and Boss Cat (the BBC's alternate title for Top Cat, due to the existence at the time of a cat food of that name). An ad for this fun footwear appeared on page 24 of the 28 October 1978 issue, and the following Week Kellogg's ran their Playpeople ad again. 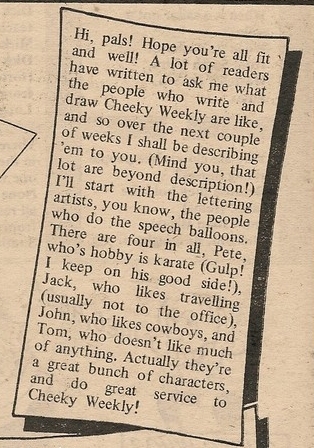 Friday then returned, but a week later Paddywack was back, but with only two gag strips, as the lower portion of the page saw Cheeky asking readers to send in the name of their favourite star 'from the world of sport, TV, pop music...anything'. The votes would be used to compile a cut-out poster featuring the most popular choices. 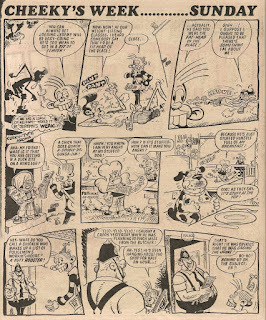 A week later Friday paid its final visit to page 24, and the week after that Tweety and Sylvester's final Cheeky Weekly strip appeared in the same location. 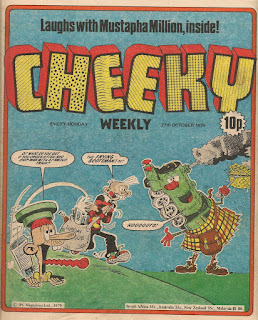 Friends of Cheeky Chit-Chat made its debut on page 24 in the issue dated 09 December 1978, but the following edition saw Joke-Box Jury commence what was to be a 5 week occupancy, after which Skateboard Squad rolled in for one issue. 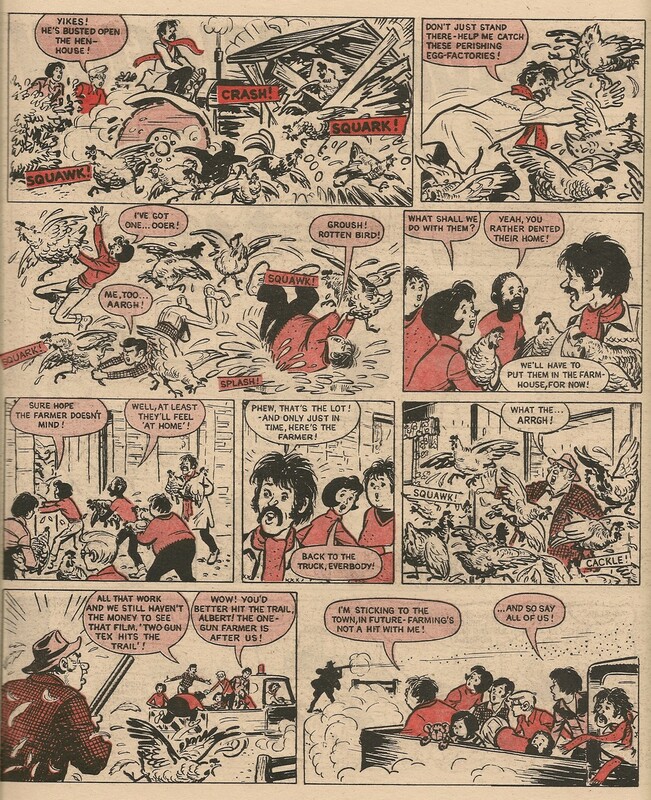 Page 24 was host to its third debut in the 17 February 1979 comic as sporadic filler Tease Break made its initial appearance, sharing the page with a reminder that votes were still being sought for the celebrity poster. 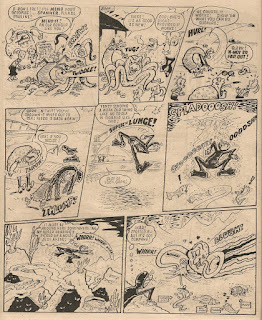 The dynamic Skateboard Squad returned for a fortnight, after which the gag-evaluating panel of Joke-Box Jury were in deliberation for 6 weeks, on the final occasion sharing their page with an ad reminding readers that posters were concurrently appearing in Whoopee! 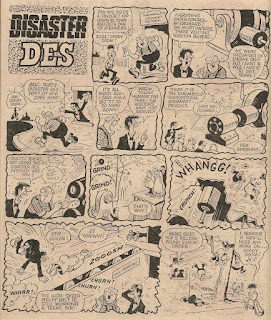 and Whizzer and Chips, as part of a multi-comic promotion which included the Top Ten poster running in Cheeky Weekly (for which celebrity nominations were sought earlier). 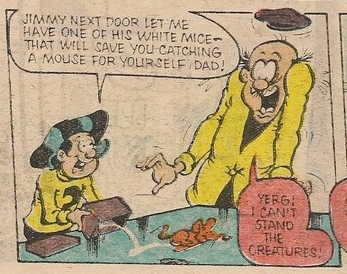 Skateboard Squad returned for a week, after which Joke-Box Jury made a chucklesome reappearance, following which Skateboard Squad began their final run on page 24 (which was also to be their final two weeks in Cheeky Weekly under their original name). 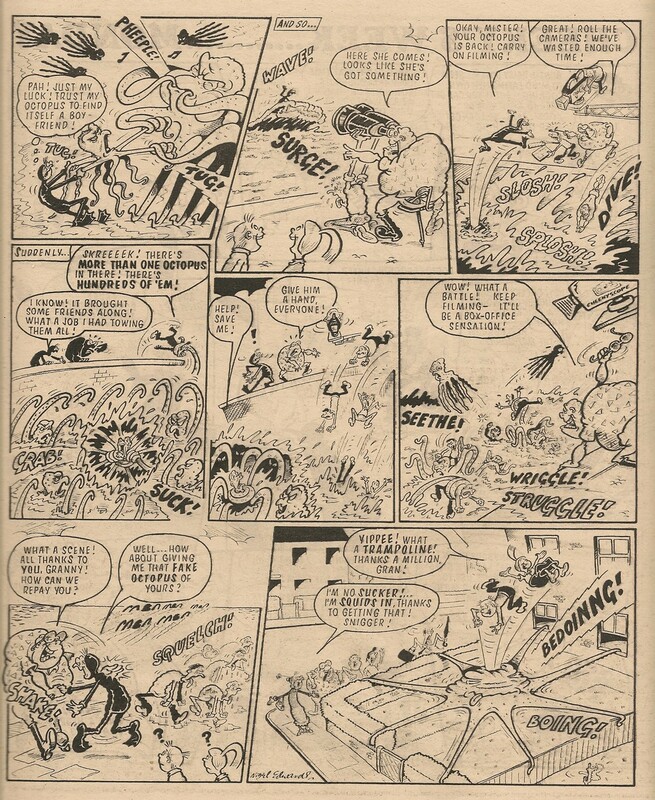 A week later, in the 19 May 1979 edition, page 24 consisted of the half-page conclusion of Thursday, paired with an ad for the Krazy Holiday Special. 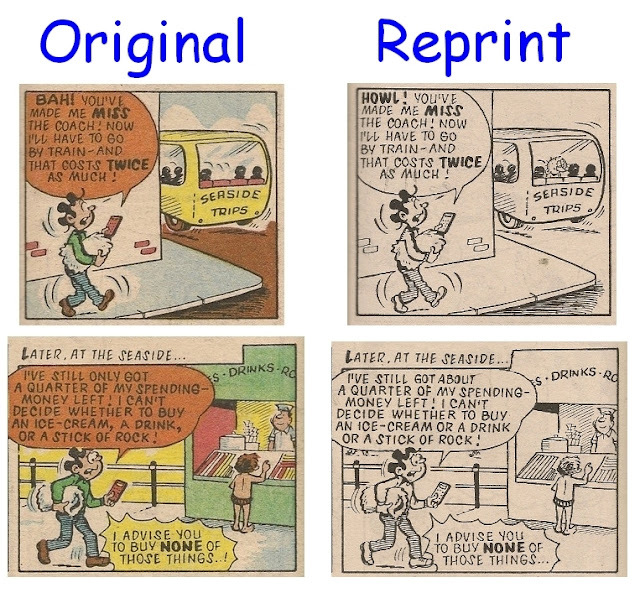 Paddywack then made his final appearance in the location under review, after which an ad placed by SP Toys extolling the luminous properties of their Glo-Putty and Glo-Doh, which seems to have been a development of the Silly Putty concept. Readers who had sent in gags to be judged by the Joke-Box Jury were no doubt eagerly scanning page 24 a week later as the verdict was handed down yet again on the latest batch of quips and puns. 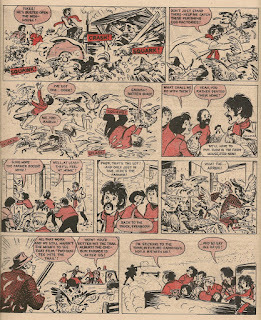 Skipper, Skatie and Wipe-Out then returned to page 24 in the issue dated 16 June 1979, but in their new guise of Speed Squad (the terrific trio had unveiled their new title in the 26 May 1979 edition). Speed Squad were back again the following week but in the next issue Joke-Box Jury had its final outing on page 24, bringing the number of times it had appeared in that location to 15 and making it the feature to appear most frequently in that location. The lively letters page Chit-Chat then returned for what would be its last run on page 24, amounting to 10 weeks and bringing the total times it appeared in the location under review to 11, making it the second most regular feature to appear on the page which followed page 23. A week after Chit-Chat moved out, the well-oiled wheels of Speed Squad were again in evidence in what was to be the intrepid trio's last visit to this site. 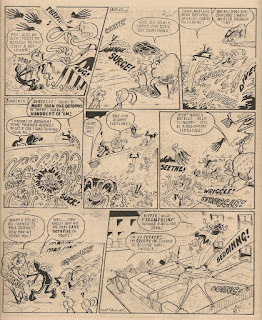 The comic dated 22 September 1979 saw Thursday turn up on page 24 for the final time, and a week later the same location hosted an ad for the third issue of IPC's new football mag Top Soccer, sharing the page with an ad for Pop-A-Points pencils and crayons inviting readers to enter a colouring competition. It was then the turn of Mustapha Million to make his final page 24 appearance, after which an ad for Mr Bellamy's Amazing Liquorice Novelties ran for 2 weeks. 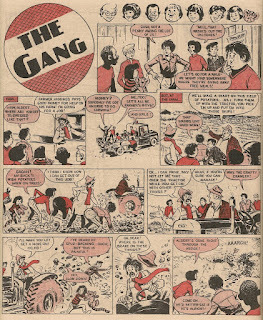 There followed a surprise bid by the kids of Stage School to take control of page 24, though their tenancy of that location lasted but 3 weeks after which there was another unexpected attempt to take control, as 6 Million Dollar Gran was shifted to the latter pages of the comic and held on to page 24 for 6 issues. Gran's run was then interrupted by some reprint shenanigans featuring The Gang, but the synthetic senior citizen saw off the double-decker dwellers seven days later, commencing a 2-week run. 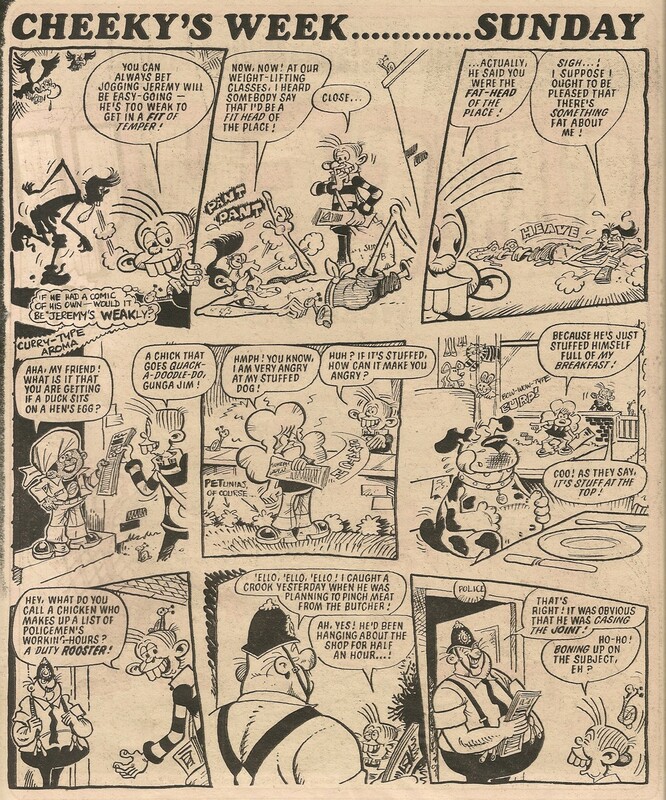 In the 19 January 1980 comic page 24 was home to 2 half-page ads for IPC product; Mickey Mouse and Shoot (two separate comics I hasten to add – not a rather unlikely merged title). Gran then resumed occupation for the final two weeks of Cheeky Weekly. 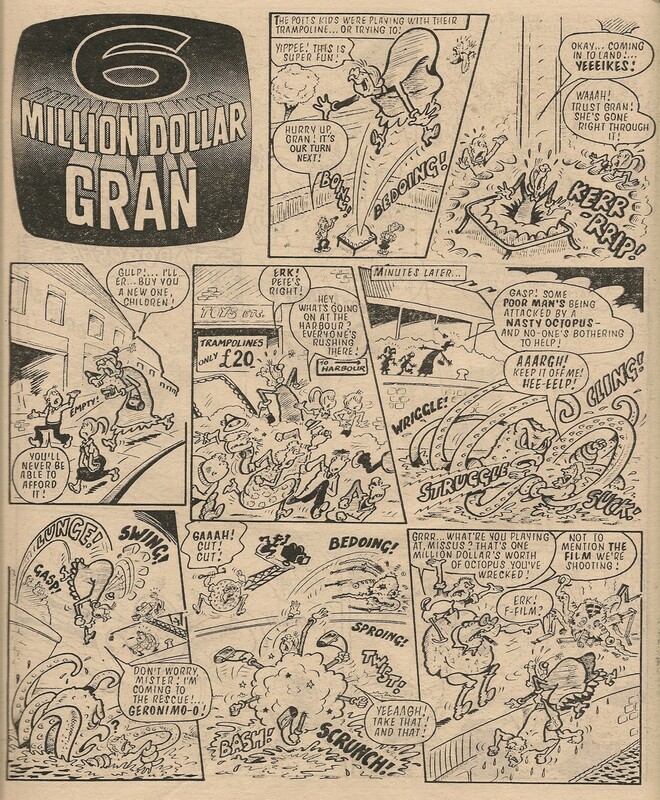 Despite first moving to page 24 as late as November 1979 when the comic was approaching its termination, Gran's total appearances in that location numbered 10, putting her, in the rankings of most frequent comic strip occupants, into equal third place with Calculator Kid. 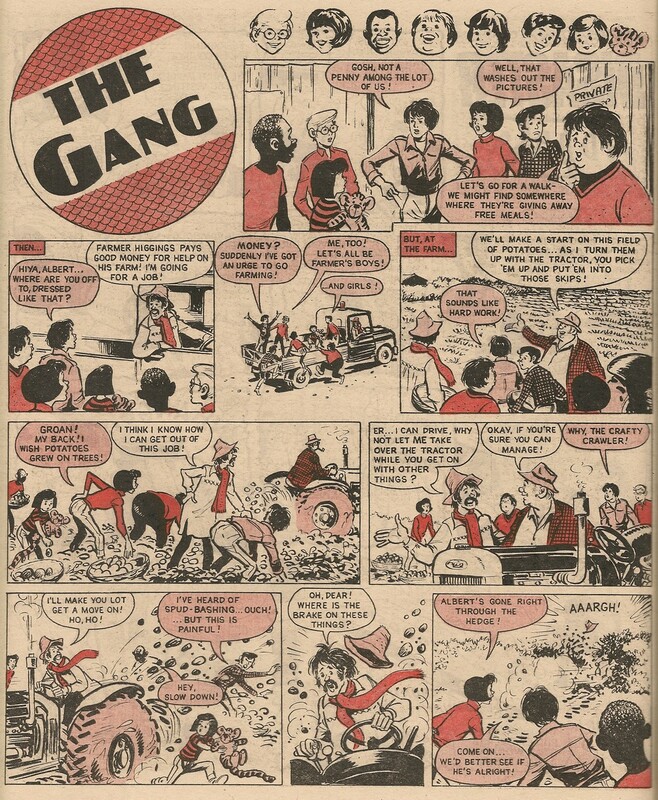 IPC was the most frequent advertiser on page 24, with its own comics and mags being promoted there on 14 occasions.